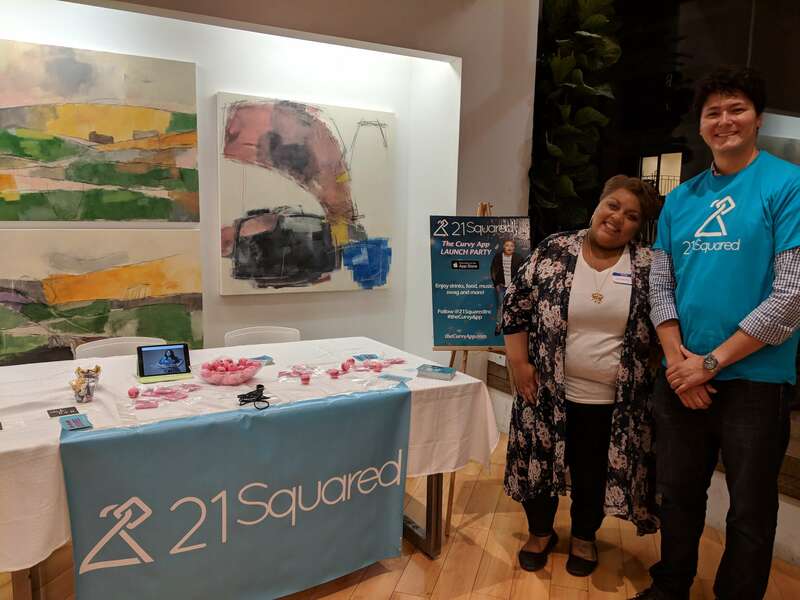 Curvy Girl Networking and Happy Hour in San Francisco with Jasmine Reeder of Curvaceous Lush on Sept. 21st was fun and very meaningful! 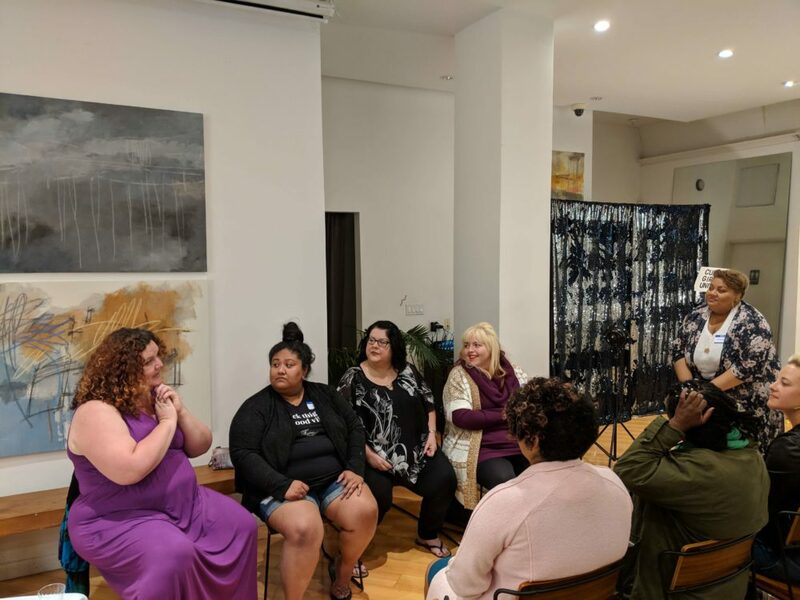 The meaningful stuff happened when we had a panel moderated by Jasmine Reeder of Curvaceous Lush later in the evening. (After we had some delicious cupcakes and prosecco, of course!) Jasmine asked each of the panelists some pretty cutting questions about living in a fat body in 2018. There were four panelists and we talked about fashion, fat shamers and trolls, we discussed our self-care habits and what we see for the future of the body positive movement. It was a q & a style panel and the audience members had an opportunity to ask questions, too. The panelists were (from left to right): Naomi Finkelstein, Valerie Sagun, Chrystal Bougon, and Bevin Brandlandingham. Naomi started us off by educating us about the Body Positive’s mission of offering a variety of resources and programming to teach and inspire youth and adults to value their health, unique beauty, and identity so they can use their vital resources of time, energy, and intellect to make positive changes in their own lives and in the world. We had some fantastic questions from the guests and we got to dig deep into how to deal with fat shaming and other politics around curvy women and fashion. We all agreed that we all need to educate our friends and families about how to be better allies and to have more compassion for bodies of size.